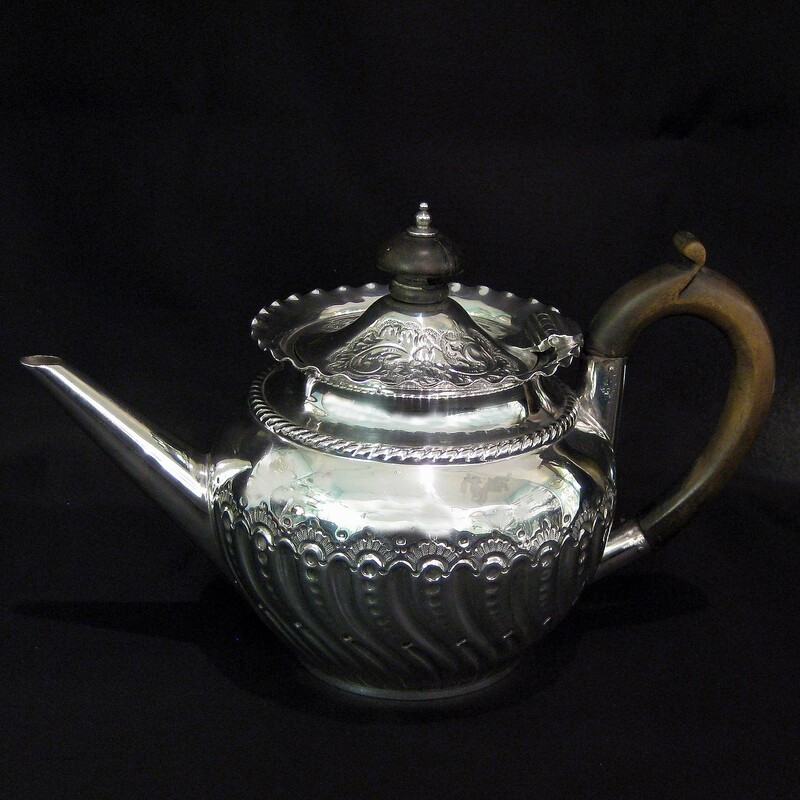 An elegant little Batchelor’s/small tea pot by the famous J. Deakin & sons. 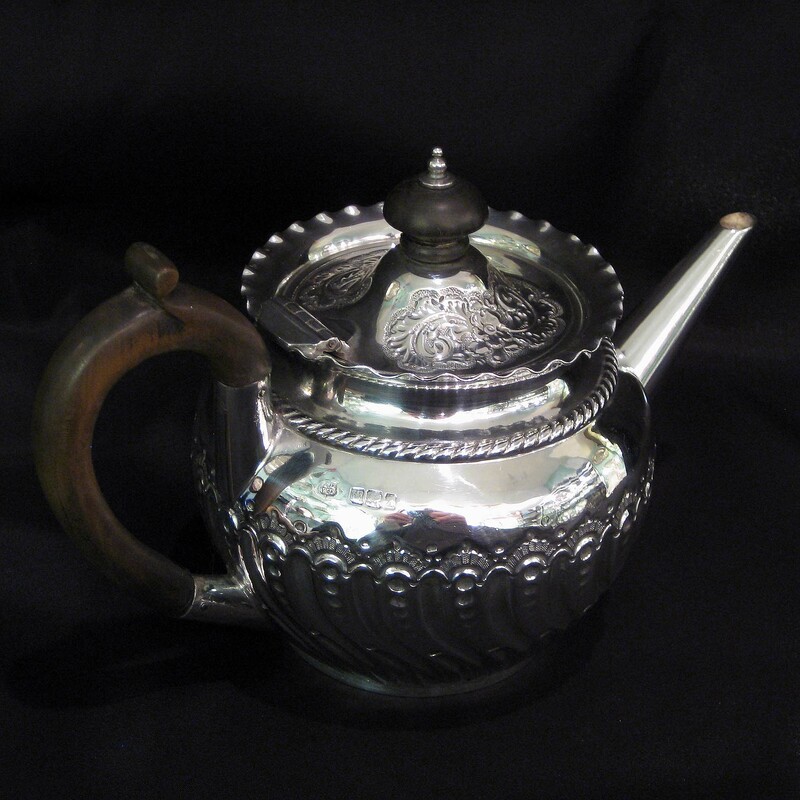 Hand embossed with fruitwood handle and finial. 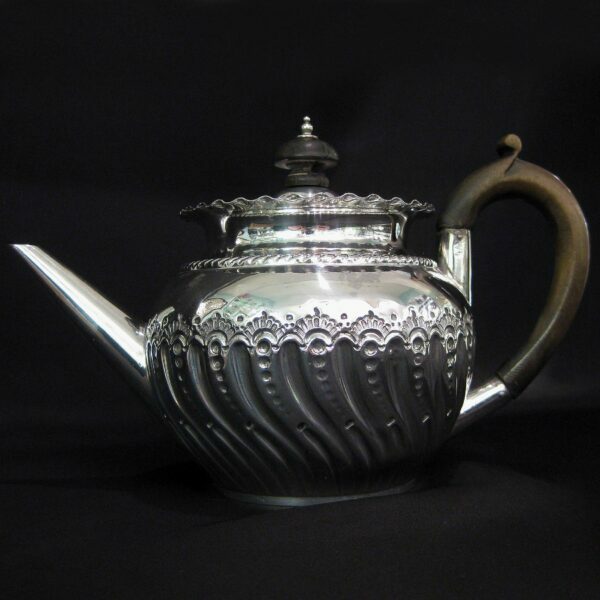 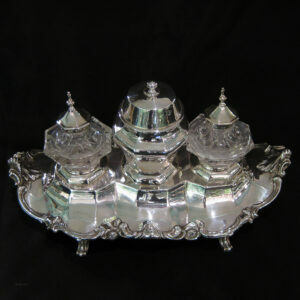 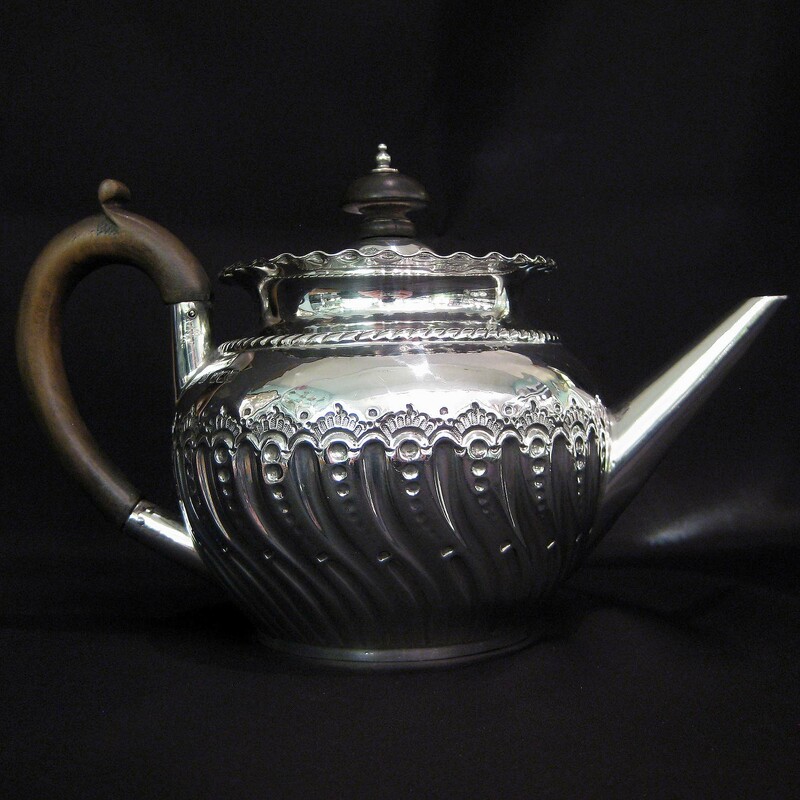 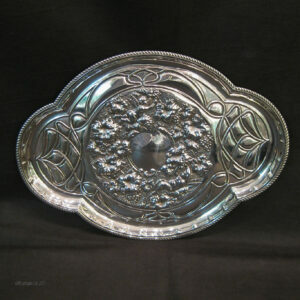 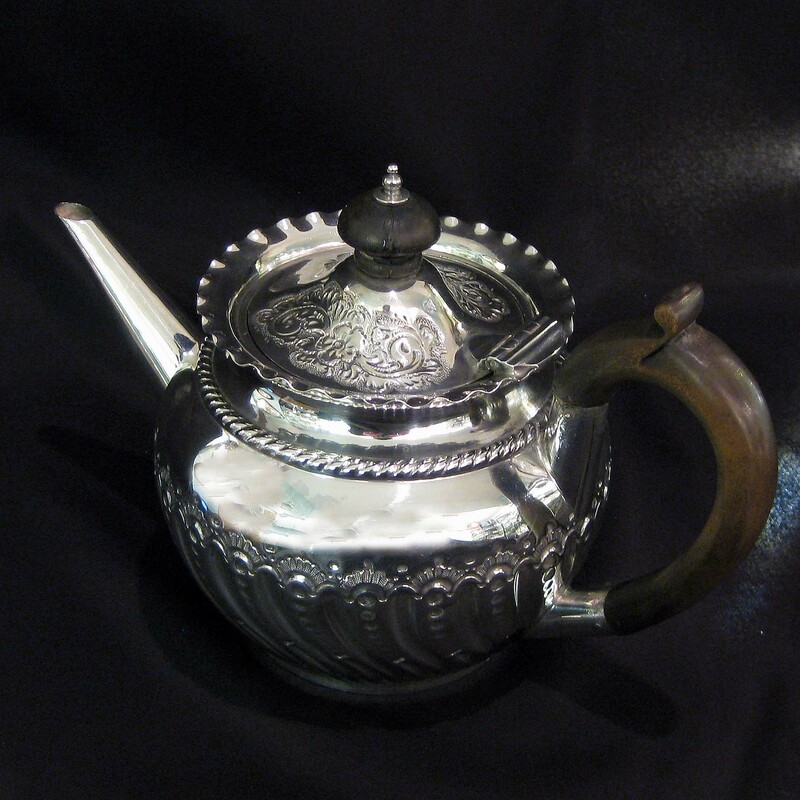 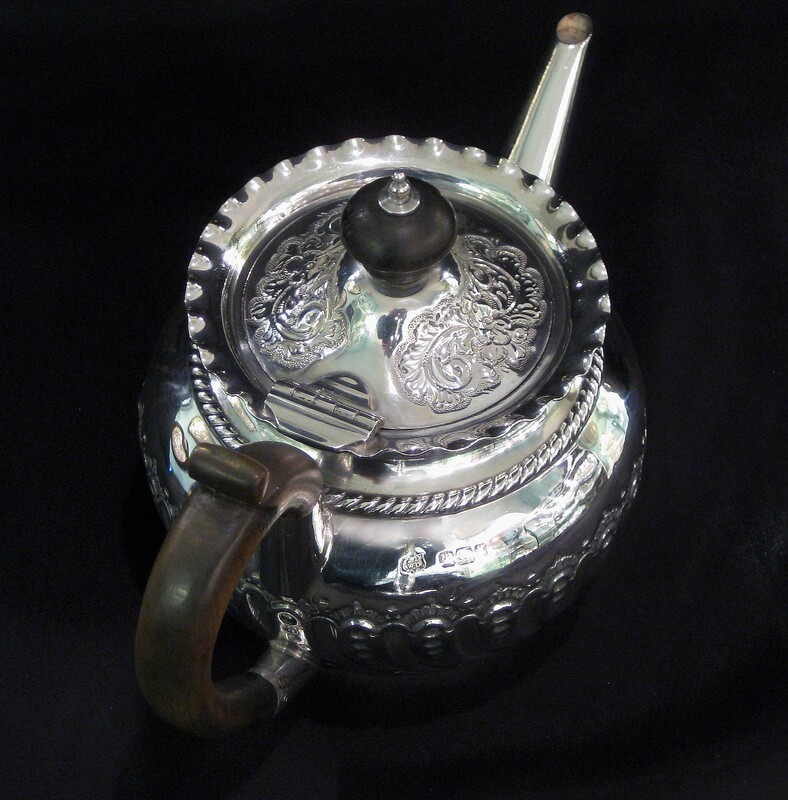 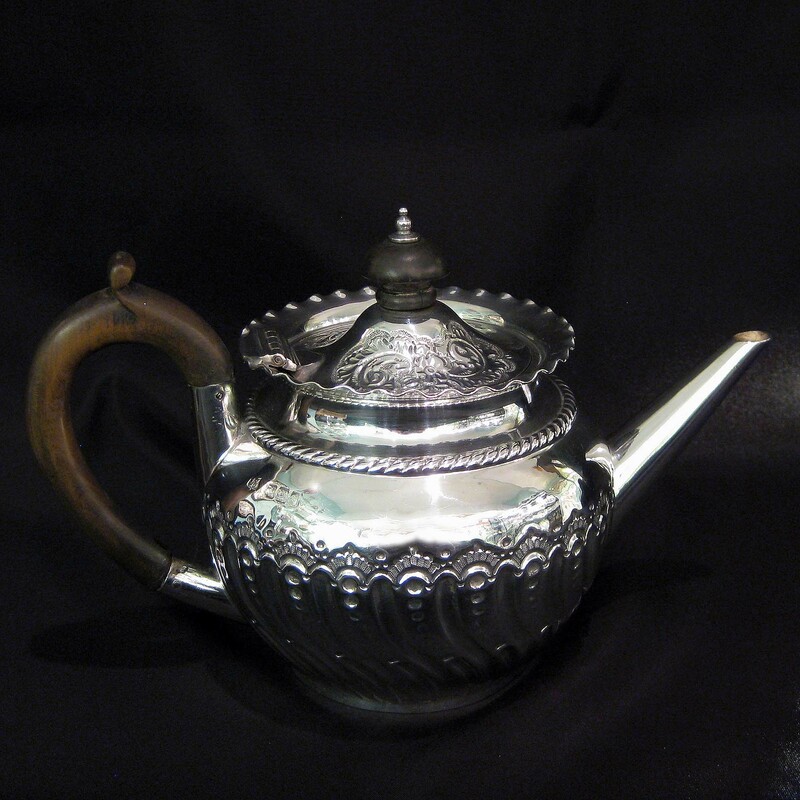 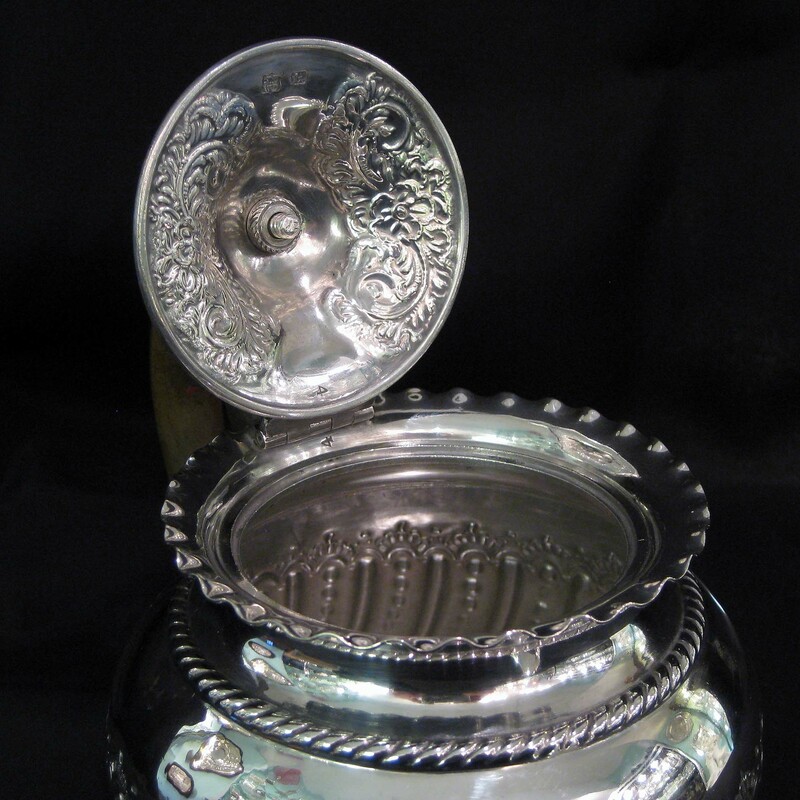 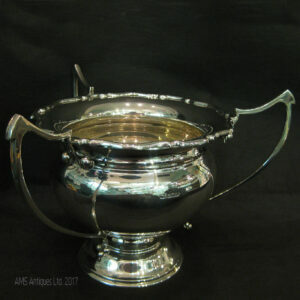 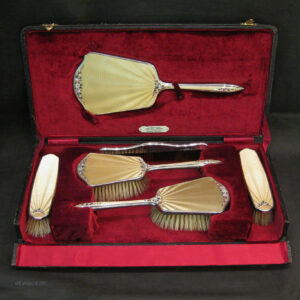 Measures 11.8cm tall, 20.5cm wide handle to spout and 11cm wide.